Keeping your garage floor clean is particularly important if you have interlocking tiles, an epoxy-type coating or some other stylish high-buck finish. Less water and mud also means a slip-free garage floor and less grime being tracked all over the place. 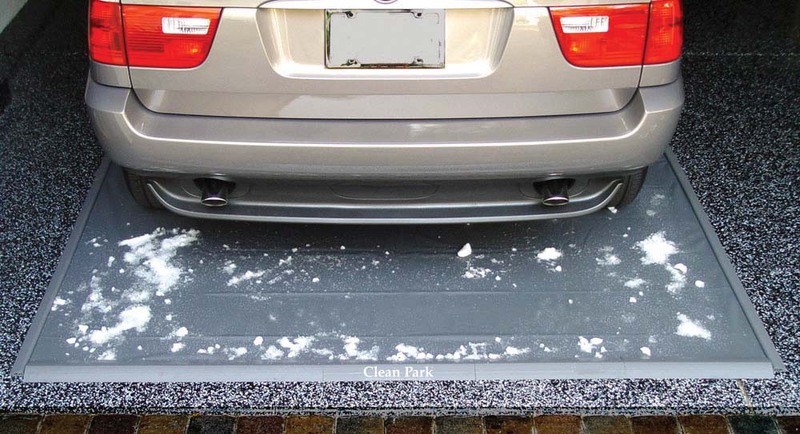 For that, you need a Clean Park Garage Mat. This protective catchall is available in a variety of sizes and in 20- and thicker 50-mil vinyl. The mat comes with raised edges that will keep literally gallons of liquid from spreading all over your floor. Prices start at $35 for the three- by- four-foot size, and top out at $351 for the 7.5- by- 22-foot size made of the thicker 50-mil vinyl. Seven different sizes are available at www.yourgaragepro.com.